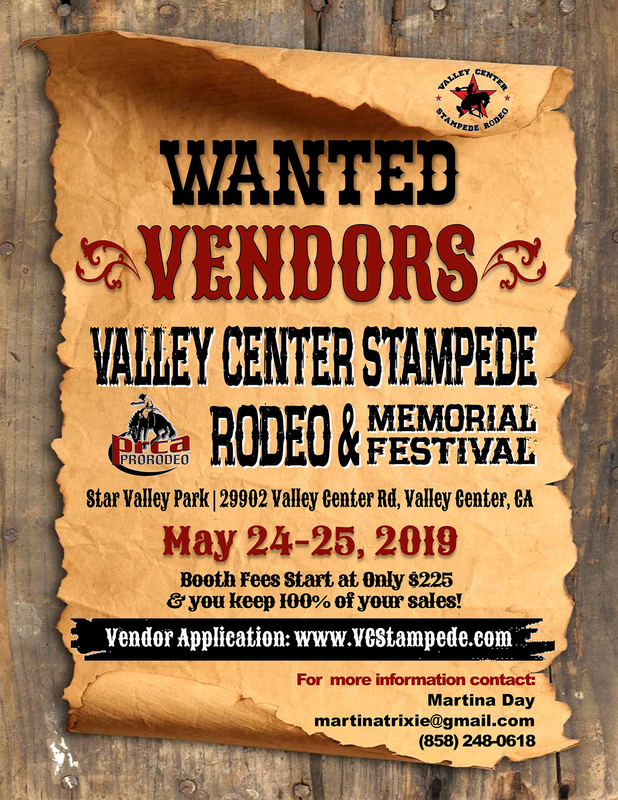 Vendor opportunities are available for the 2019 Valley Center Stampede Rodeo & Memorial Festival, May 24-25, 2019. The Valley Center Stampede Rodeo is now accepting vendor applications for their professional rodeo over the 2019 Memorial Day weekend. 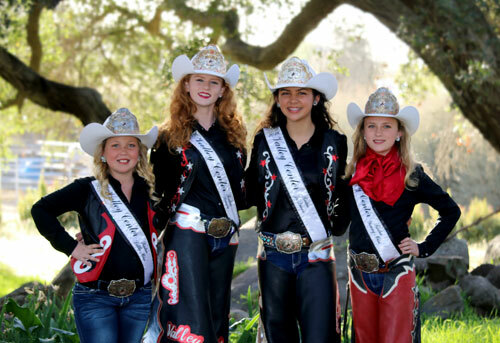 The Valley Center Stampede Rodeo has been providing a quality rodeo for the town of Valley Center and surrounding communities each Memorial Day weekend since 2002. We are proud to announce that the Valley Center Stampede Rodeo is now a professional rodeo sanctioned by the Professional Rodeo Cowboy Association (PRCA). The 2019 Valley Center Stampede Rodeo with have full-lineup event performances on Friday, May 24th and Saturday, May 25th. We are anticipating 10,000 attendees this year given our professional standing; thus creating great exposure for our valuable vendors. If you are interested in joining the vendor lineup at the rodeo grounds, please complete the 2019 Rodeo Grounds Vendor Application. For questions, contact Martina Day at 858-248-0618 or martinatrixie@gmail.com. Please return the completed Vendor Application, signed Release of Liability, any required Health Permits, SBOE Permits and a Certificate of Additional Insured for co-insured, along with a check or money order made payable to: Valley Center Stampede Rodeo, Inc.. All forms must be sent via U.S. postal mail. Please submit any written inquiries to Martina Day using the form below or contact Martina at 858-248-0618.